I really like the pink-purple combo, and in My Precious Daugther collection you can find lots of papers in these colors. I decided to make a colorful layout using them. I absolutely love the papers used! Teresa, you created the most gorgeous layout with them. 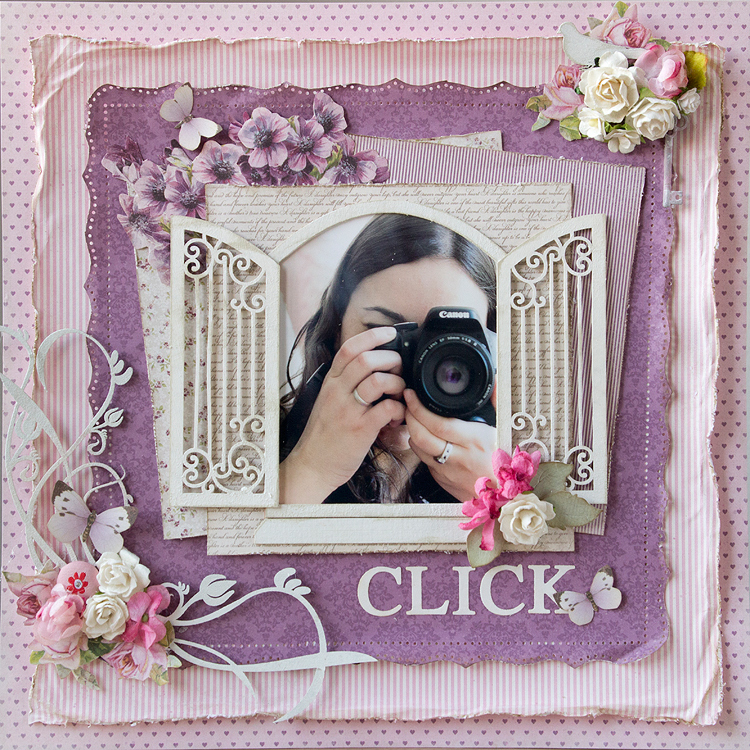 Love the die cuts, colors, the distressing….just all of it!